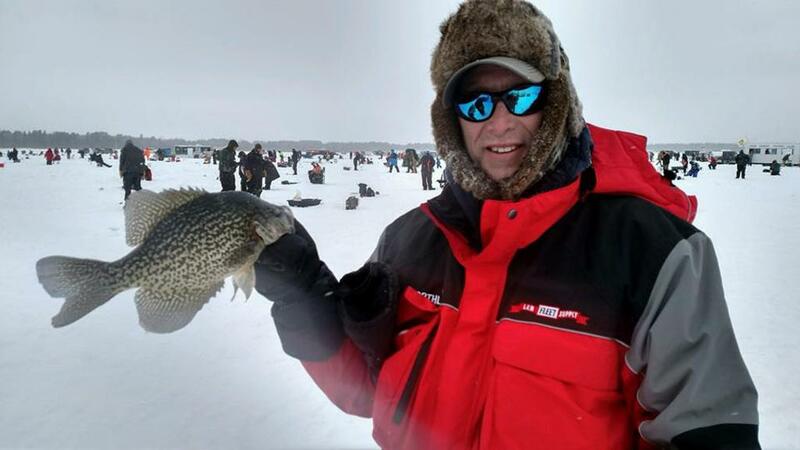 It was a miserable cold day with windchill factors at 30 below zero, but thousands of people braved the cold and came out to fish...well for a while. 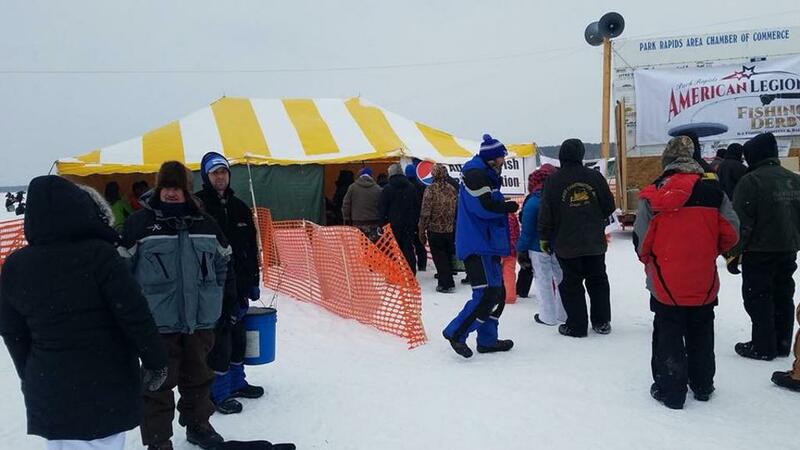 It got to be too much for some and they headed back to warmth early, but there were plenty of hardy folks fishing right to the end for a chance to win. 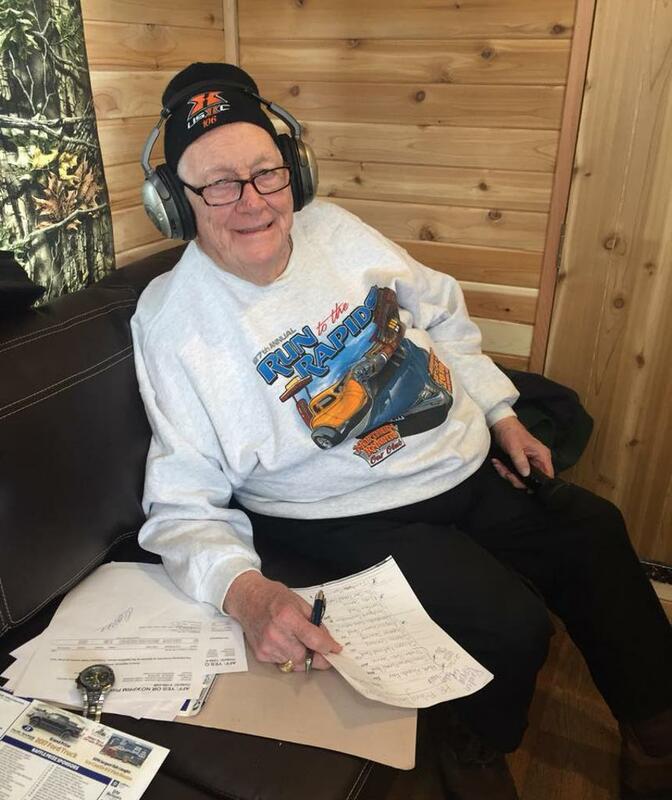 Ed DeLaHunt stayed toasty doing his live broadcast on KPRM AM 870 thanks to Smokey Hills Outdoor Store for providing us an Ice Castle Fishhouse to hang out in. 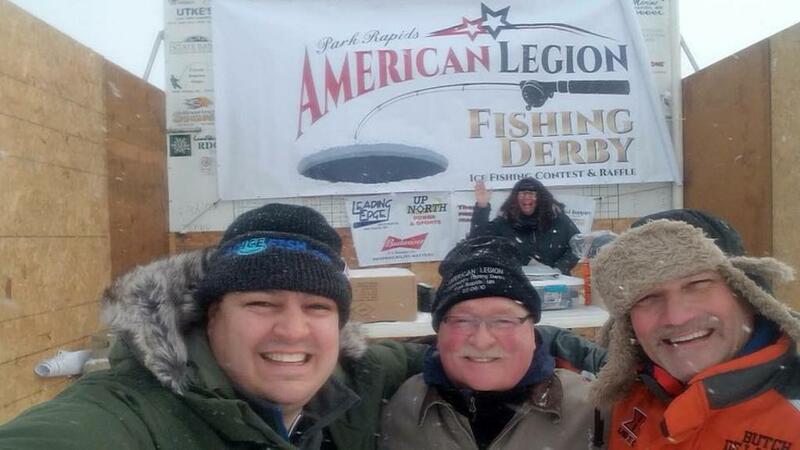 The Legion Fishing Tournament takes a lot of volunteer man power to happen...these 3 guys (L-R) Hendri Smokey Hills, Jerry Legion and Butch Chamber work long hard hours to make it seem flawless. That is on nice size crappie! 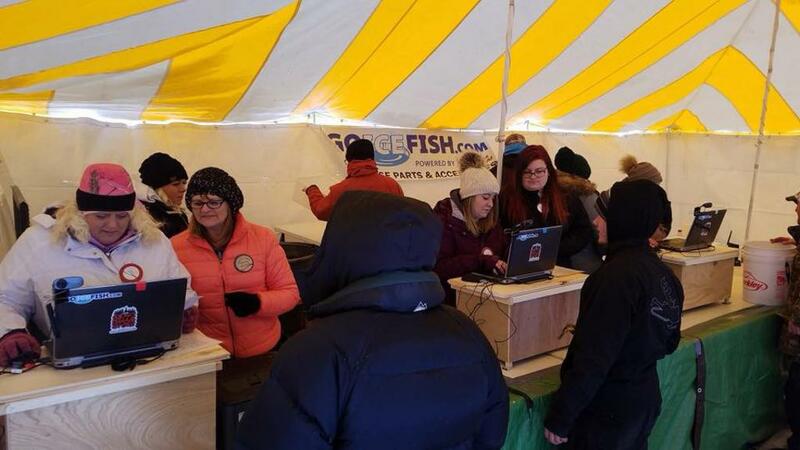 Hardworking crew registering all the fish caught in the contest. 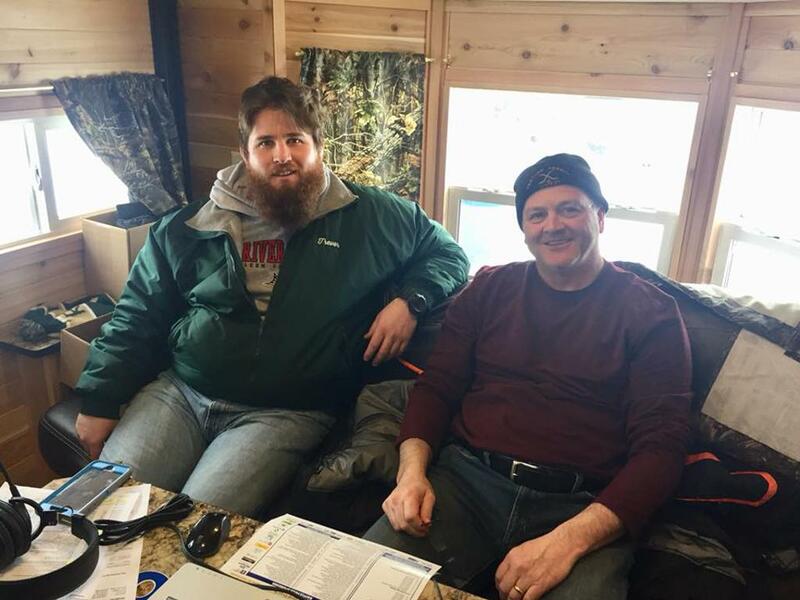 What do Fishing folks do When Bored? 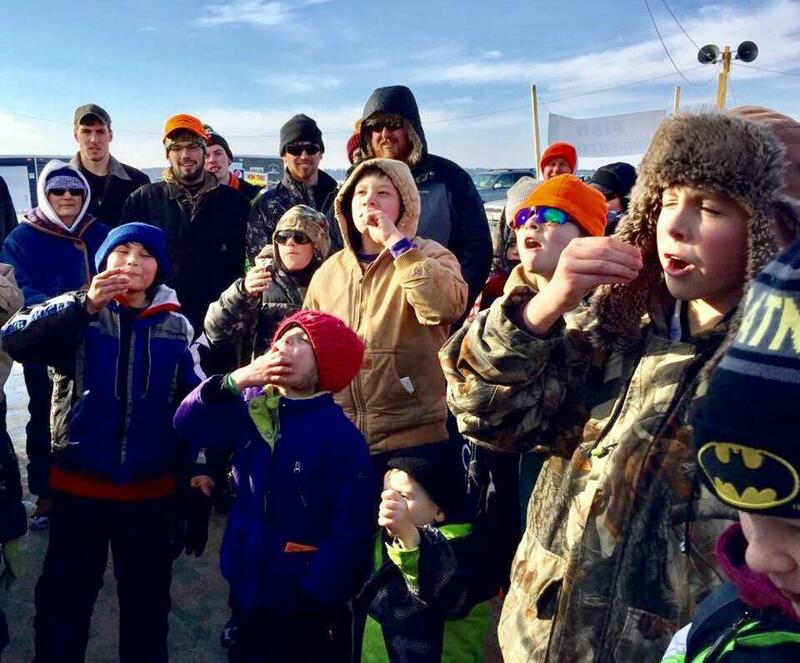 A tradition...a minnow eating contest held at center ice each year. Not for the weak at heart or weak stomach's!